Download the logo included at the top of the post. Climate Scorecard is inviting all other concerned organizations to join us in developing a partnership Campaign to ensure that the Paris Agreement achieves its goals. Our message: Leading greenhouse gas emitting countries need to strengthen the ambition of their emission reduction pledge to the Paris Agreement before 2020. Our campaign is focused on raising public awareness and putting public pressure on leading greenhouse gas emitting countries to significantly strengthen the ambition of their emission reduction pledges before the Agreement goes into effect in 2020. Partners in the campaign will support the core message of the Campaign (see above) by posting it on their website and social media pages. They also are encouraged to develop messages and materials that can be used by concerned citizen groups and other advocacy-based organizations to target Environmental Ministers and other key country level climate change decision-makers with suggestions as to how their Paris Agreement pledges can be strengthened. Near the statue of Jan Van Eyck, Skyscraper (the Bruges Whale) rises up from the Canal. Skyscraper is 5 tons of plastic waste pulled out of the ocean to create a 4 story tall whale: a powerful reminder of the 150,000,000 tons of plastic waste still swimming in our waters. Skyscraper is a physical example of why we need to change how we use and dispose of plastic in the world today. The gigantic sculpture is more than just a representation of a whale; the animal is made of waste, collected from the plastic soup that floats on the seas and oceans of the world. Working with volunteers from the Hawaii Wildlife Fund and the Surfrider Foundation, StudioKCA combed the beaches of Hawaii to gather up the waste. The installation was built out of those finds. StudioKCA seeks this way to draw attention to the universal problem of pollution that affects us all, and to make viewers aware that individual action is necessary. StudioKCA has started a crowdfunding campaign on Kickstarter. Processing and transporting the waste on this scale is larger than expected. StudioKCA is still looking for $15,000 to complete the manufacturing of the steel and aluminium parts, to hire the cranes and tools, to transport everything to Bruges in time for the event and to assemble all 107 parts that Skyscraper consists of on location. Deposit your contribution to this project via the Kickstarter website and receive exclusive Skyscraper (the Bruges Whale) returns! In India, a new wave of admiration about our traditional knowledge has emerged in public discourse, but it is not reflected in the ways the State wants to manage our forests. Politicians, bureaucrats and intellectuals are holding forth on importance of indigenous knowledge and practices. For instance, the Indian government has been championing the cause of Yoga in the international arena, and has successfully put it on the global map by pushing for an International Yoga Day. Similarly, traditional medicines including Ayurveda have become a buzzword among policymakers. In this rush to promote India’s traditional knowledge and practices, policymakers have seemingly forgotten another longstanding, rich tradition of India. Indians, especially the indigenous communities living in and around forests, have been living with and protecting India’s biodiversity-rich forests for thousands of years, with a vast repository of lived and traditional knowledge about forest ecosystems. Most importantly, many of them have demonstrated scientific methods of conservation much before modern forest science emerged. 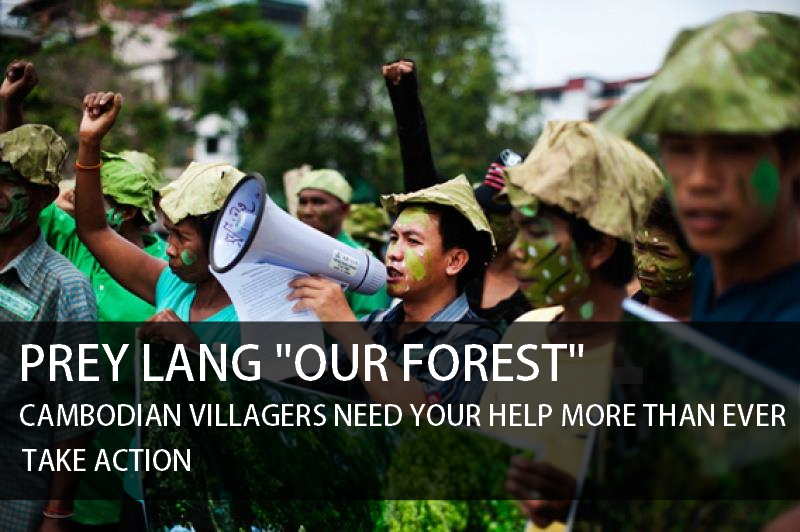 Thousands of villages across India have been protecting natural forests for decades. For example, over 10,000 communities in Odisha have been protecting state-owned forests, often through voluntary labour, and have a deep understanding and commitment to conservation. The vast number of scared groves across the country remains a living testimony to the traditional conservation ethics of Indian tribal communities and forest dwellers. 8.3 BILLION Metric Tons (9.1 BILLION US Tons) of plastic has been produced since plastic was introduced in the 1950s. The amount of plastic produced a year is roughly the same as the entire weight of humanity! Virtually every piece of plastic ever made still exists in some shape or form (with the exception of the small amount that has been incinerated). Plastic pollution is killing our planet, and plastic pollution is killing us. It's choking our oceans, poisoning our food and water supply, and wreaking havoc on the health and well-being of humans and wildlife worldwide. That's why we are dedicating Earth Day 2018 to ending plastic pollution. We've developed a series of comprehensive resources and toolkits to help Individuals, Organizations, and Educators like you inform, inspire, and mobilize everyone you know to join the movement to END PLASTIC POLLUTION this Earth Day. 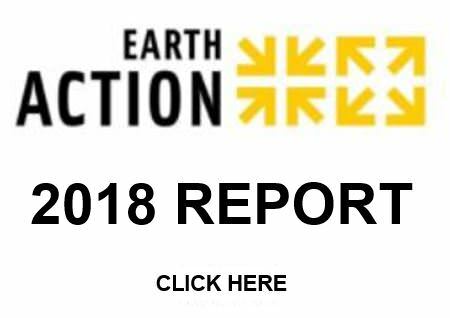 Every week, we'll be releasing new resources to help you build the Earth Day 2018 End Plastic Pollution movement-starting now, with our Scope of Plastic Pollution Fact Sheet offering 10 shocking facts about plastic pollution. 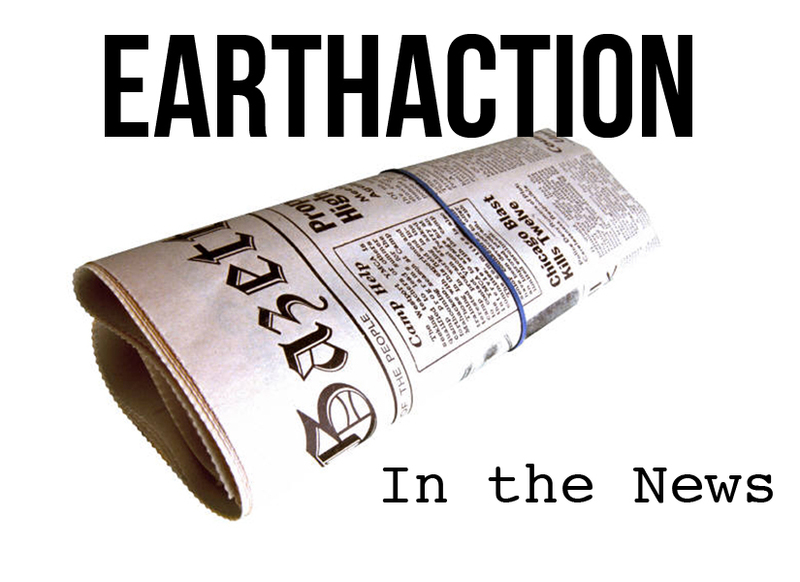 Stay posted for more upcoming resources you can use to play a role in saving our planet. Putting an End to Plastic Pollution is a fight citizens across the world MUST win. Photo Credit: Google "labeled for non-commercial reuse"
The Nuclear Ban Treaty was adopted last year at the UN by 122 countries. The Treaty comprehensively prohibits everything to do with nuclear weapons and makes these weapons illegal under international law. Fifty-seven countries have signed it so far, and as many as 146 countries are expected to sign it in the coming months. The United States is not one of them, but as with the Paris Climate Agreement, that does not stop cities, states, businesses, colleges and faith communities from complying with this Treaty. Takoma Park was one of the first cities in the US to declare itself a ‘Nuclear-Free Zone’ back in 1983. Since then, through a city ordinance, Takoma Park has banned companies involved in the production of nuclear weapons from doing business in Takoma Park, or from bidding on City contracts, and has avoided investment in companies engaged in the production of nuclear weapons. Since these prohibitions mean that Takoma Park already complies with the new Treaty, the March 14 resolution declaring the City ‘treaty compliant’ was more of a formality. As the first city in the US to do so, however, Takoma Park has led the way for many more to follow. As many as 220 Nuclear Free Zones were established across the US during the 1980s. Many of these, including Chicago, still have legally-binding ordinances on their books which comply with the new Treaty. Others, including New York City, are now looking into this afresh in light of this Treaty. By aligning themselves with the rest of the world in support of the Nuclear Ban Treaty, Takoma Park is turning its back on the $1.2 trillion plans to upgrade and modernize the US nuclear arsenal. Takoma Park is the first to officially do so, but it will not be the last. We may have won our campaign to stop Colombia’s massive deforestation! The team and members brought a million-strong petition (and several cute kids) to a key minister this week, and got 42 election candidates signed on to our 5-point forest pledge! After satellite pictures we obtained showed massive deforestation in Colombia, the President flew over the land we were campaigning for, and it looks like we’re going to win! Here's an update (in Spanish) from Ana Sofia. Who wouldn't want to protect this? We might help win the largest ocean reserve in the Atlantic! Last week we met with the key official pushing this ocean-saving plan at the Ministry of Environment in Brazil. As we entered the room, they were looking at the final draft of the project and the official told us: “We need Avaaz to win this! When are you launching this campaign? !” The minister actually wanted our help to win over the rest of the Cabinet and the President! Video update from Diego (in Portuguese) here. Our fake far-right leader on his fake tour of southern Italy got over 100 media hits! We worked our hearts out to stop a far-right win in Italy! With a fascist-led coalition close to winning the election on Sunday, we were flat-out for a month -- reaching millions of voters in close races over email, on Facebook, and in the media, asking them to cooperate across a splintered opposition, and vote for the candidate most likely to defeat the far-right. Our polling showed our impact, and Avaaz was constantly attacked in the right-wing press (e.g. here and here) and our Senior Campaigner Luca got threatening phone calls. The election largely turned on the South, so last week we also staged a hilarious fake tour of the South by the far-right leader -- who once said Southerners smelled worse than dogs -- that generated over 100 media articles! Examples here, here and here, and here’s an update from Luca (in Italian). The media likes to hype the fascists, but the result was a clean sweep of the south and the far-right coalition is FAR short of the majority we feared! Some 40 million people (mostly women and children) frequently carry heavy loads, often to the detriment of their health, security, education and development (UNDP). 37% of Africa's population is at least 30 minutes away from a water source (WEDO). Many organisations are drilling for water, and providing pumps closer to communities, though this can produce mechanical and social problems of its own. The water must still be contained and carried, often more frequently than before. What can we do to reduce the load-carrying drudgery that is impeding progress for so many? Supermarkets provide us with shopping carts so we can easily gather and carry our goods. Would it not be reasonable and appropriate, if the load-carriers were provided with their own form of shopping cart, a durable handcart? Unfortunately, such handcarts are rarely available in areas where they are most needed, and wheelbarrows make a poor substitute. Design and test a range of suitable and acceptable handcarts. Provide handcart-related advise and technical services. Promote the concept of handcart distribution for developmental purposes. Establish partnerships with governments and humanitarian organisations. We now offer a range of handcart designs that you can import or have made locally. Other styles and materials are available, including sheet-metal and wickerwork. Please consider how EarthAction and KoruCarts could defeat drudgery, using handcarts. You can contact KoruCarts at korucarts@gmail. important UN Treaty.Ordos, 06/06/17 - Zhang Jianlong, Minister of State Forestry Administration, China, this morning opened the first ever United Nations conference on sustainable development hosted in China. The thirteenth session of the United Nations Convention to Combat Desertification (UNCCD), is taking place from 6-16 September, in Ordos, Inner Mongolia. The 196 country Parties attending the session are expected to agree on a 12-year Strategy to contain runaway land degradation that is threatening global food and water supply. Ministers are expected to announce their targets for land restoration and agree on measures to address the related emerging threats of forced migration, sand and dust storms, and on actions to strengthen resilience to droughts. Close to 80 ministers are expected to attend the Conference during the high-level segment, when most of the emerging issues will be addressed and country commitments of the targets will be announced. About UNCCD: The United Nations Convention to Combat Desertification (UNCCD) is the only legally binding international agreement on land issues. The Convention promotes good land stewardship. It's 196 Parties aim, through partnerships, to implement the Convention and achieve the Sustainable Development Goals. The end goal is to protect our land, from overuse and drought, so it can continue to provide us all with food, water and energy. By sustainably managing land and striving to achieve land degradation neutrality, now and in the future, we will reduce the impact of climate change, avoid conflict over natural resources and help communities to thrive. Free distribution of school items to the needy children in a primary school. Our vision: A world without poverty that deprives children of access to the necessary knowledge and training on which the excellence of the human person depends and its genuine and constructive participation in the life of a peaceful world. Our mission: To contribute to the creation or strengthening of the conditions for access to primary health care and basic education for children from the most disadvantaged backgrounds. Our strategy: Fighting child poverty by supporting hard-working and organized parents to produce more and make more money in order to create by themselves the conditions necessary for the development of their children. We help grassroots communities build infrastructures such as school buildings and health centers. Our projects: We mainly work in rural areas with peasant groups or cooperatives. We focus on agricultural activities including the production, processing, and conservation of harvests. Since 2002, we have been working with partners from Italy including Gocce Per l’Africa, Progetti Solidarièta Oikos, SB Sociale, the Italian Valdese Church. The collaboration with these partners has resulted in the creation of one health center, 2 rice production and threshing centers, buildings for 1 kindergarten and 3 primary schools. In addition, five agricultural cooperatives have benefited from our technical and financial support. to create a health center in an isolated rural area.